Recent evidence indicates that behavioral characteristics of Autism Spectrum Disorder (ASD) can be seen in some children as young as 12-15 months of age and that interventions can potentially be implemented as soon as these children are identified. Yet diagnosis of ASD in North Carolina does not occur routinely until after 3 years of age and some children who receive a positive screen for ASD may not be immediately eligible to receive state-sponsored early intervention services. This presentation will highlight the research findings and implications for practice of efforts to identify infants, toddlers, and preschoolers with or at-risk for ASD and to implement effective early interventions. Particular emphasis will be placed on the current state of screening and diagnosis in North Carolina; what efforts are being made to lower the ages of early identification, diagnosis, and entry into early intervention; and what our service systems could do to better support young children with or at-risk for ASD diagnosis and their families. 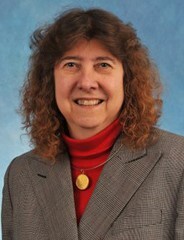 Elizabeth Crais is Professor and Coordinator of Ph.D. Studies in the Division of Speech and Hearing Sciences (DSHS) of the Department of Allied Health Sciences (AHS) in the UNC-CH Medical School. She has 40 years of experience in working with children and youth with disabilities. Her research interests include Autism Spectrum Disorder (ASD) identification and intervention, personnel preparation, and implementation of family-centered practices. Along with a team of collaborators, she is one of the authors of the First Year Inventory, a parent-report tool for identifying risk for ASD in 12-month-old infants, and has developed a home-based intervention for infants and toddlers and a preschool intervention, both related to working with young children with ASD. Recognize some early symptoms of ASD in infants and toddlers. Describe the current status of screening, diagnosis, and enrollment in early intervention in NC of young children with or at-risk for ASD. Discuss strategies for enhancing the services provided in NC for young children with or at-risk for ASD and their families. Crais, E.R., McComish, C.S., Humphreys, B.P., Watson, L.R., Baranek, G.T., Reznick, J.S., Christian, R.B., & Earls, M. (2014). Pediatric Healthcare Professionals’ Views on Autism Spectrum Disorder Screening at 12-18 Months. Journal of Autism and Other Developmental Disabilities, Volume 44 (9), 2311-2328. Watson, L. R. & Crais, E. R. (2013). Translating between research and practice in serving infants at risk for ASD. ASHA Perspectives on Language Learning and Education, 20(1), 4-13. Webb, S. J., Jones, E. J., Kelly, J., & Dawson, G. (2014). The motivation for very early intervention for infants at high risk for autism spectrum disorders. International journal of speech-language pathology, 16(1), 36-42. Zwaigenbaum, L., Bauman, M. L., Choueiri, R., Kasari, C., Carter, A., Granpeesheh, D., & Pierce, K. (2015). Early intervention for children with autism spectrum disorder under 3 years of age: recommendations for practice and research. Pediatrics, 136(Supplement 1), S60-S81.